Task: We were commissioned to do specialist solicitor search engine optimisation work with an anonymous law firm in Manchester, to help increase leads and conversions. 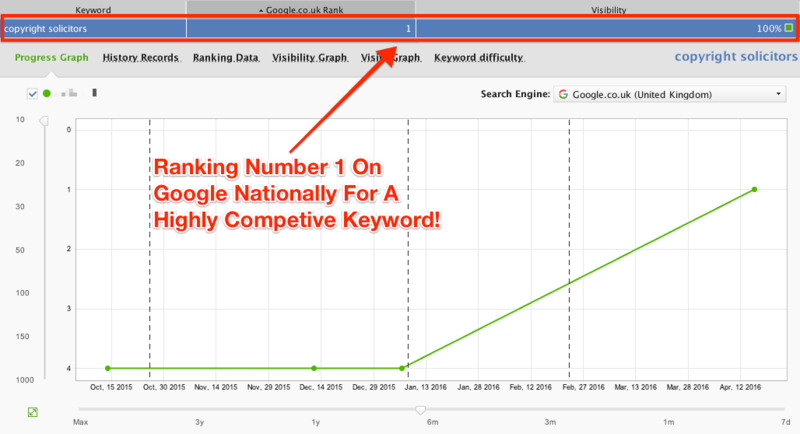 Over a period of time they ranked on the first page of Google for many highly competitive keywords. Our specialised lawyer SEO reported increased referrals and leads, evidencing a successful SEO campaign.